In recent years the evidence for the antioxidative and anti-inflammatory properties of various cannabinoids has become well-established, and our understanding of the role they play in modulating neurotransmission too has grown. Thus, serious consideration is now being given to their potential as neuroprotective agents. Cannabinoids have been shown to prevent neuronal death in acute neuronal injury, including ischemic stroke and traumatic brain injury, as well as provide symptomatic relief in multiple sclerosis, Huntington’s disease, and other chronic neurodegenerative diseases. Data gathered both in vitro and in vivo suggest that the endocannabinoidreceptor agonists anandamide and 2-AG, as well as various synthetic cannabinoids and phytocannabinoids, have neuroprotective effects following traumatic brain injury (TBI). It is well-known that TBI leads to the release of harmful compounds that cause secondary brain damage; now, researchers are finding that neuroprotective mediators are also released, and that the final outcome is determined by the balance between the two classes of compounds. A study published in 2002 (Mechoulam et al) demonstrated that production of anandamide and 2-AG increased in the brain following TBI, and that production of substances known to cause neural damage—tumour necrosis factor-a and reactive oxygen species (ROS)—was inhibited by their presence. 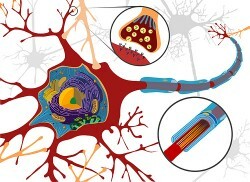 It is thought that the endocannabinoid system’s role in inhibiting release of neurotransmitters such as glutamate (the main transmitter in glutamatergic synaptic transmission, which plays a major role in nervous impulse modulation as well as in cognitive functions such as learning and memory), as well as in modulating the inflammatory response, is significant in this context. Various studies have confirmed these findings. Another study published in 2002 by Mechoulam et al demonstrated that endogenous levels of anandamide and 2-AG also increase following TBI in mice and rats; when both compounds were administered after TBI, the extent of brain damage was reduced. 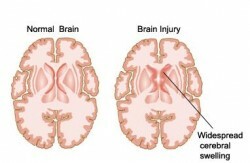 Reductions in the extent of brain oedema (accumulation of fluid leading to swelling), infarct volume (extent of tissue necrosis), and hippocampal cell death were all noted, along with a generally-improved clinical recovery. It was also noted that 2-AG was more effective when administered with similar compounds in the fatty acid glycerol ester class. 2-AG is known to play a significant role in vascular modulation which may increase its effectiveness following TBI—by counteracting vasoconstriction (narrowing of blood vessels) caused by release of endothelins (21-amino acid compounds, which are the most potent vasoconstrictors known), it may help to restore the blood supply to the affected area. This relationship also corresponds to the idea of a balance between harmful and beneficial compounds that determines the overall outcome. The abundance of existing evidence has provided the basis for several clinical trials investigating neurodegenerative conditions and neuronal injury and their response to cannabinoid compounds. However, our understanding of the complex relationship between the endocannabinoid system and the various other signalling systems of the body is far from complete, and must improve greatly if we are to make effective use of their potential in neuroprotection following TBI. THC, CBD and various other cannabinoids have been repeatedly demonstrated to exert a neuroprotective influence during and following occurrence of ischemic stroke (IS). While there are various studies indicating that cannabis use can increase risk of stroke, it appears that this phenomenon is limited to a small subset of susceptible individuals. For the majority, cannabinoid therapies appear to have great potential in mitigating inflammation and oxidative stress due to IS. CBD has been the subject of much investigation as a neuroprotectant for IS. It has been shown to increase cerebral blood flow following IS and thereby aid in mitigating infarct volume; unlike THC, which exhibits a tendency to decrease in effectiveness with repeated doses, it remains effective even after fourteen days of repeated treatment. For this reason, it is seen as having greater therapeutic potential than THC in this area of research. CBD has also been shown to reduce inflammation caused by release of interleukin-1, nitric oxide, and tumour necrosis factor-a following IS. Just as with TBI, much of the damage subsequent to IS is due to oxidative stress, which is caused by the build-up of ROS due to excessive glutamatergic signalling. Both THC and CBD have been shown to be effective antioxidants that inhibit glutamatergic signalling and thereby reduce the extent of ROS build-up following ischemic stroke; however, CBD again shows greater effectiveness as an antioxidant and therefore has greater therapeutic potential than THC. The interactions between various cannabinoids and the glutamatergic signalling system were investigated further in a study entitled Neuroprotective Antioxidants from Marijuana, published in 2000. In this study, cannabidiol and several other cannabinoids were investigated for their neuroprotective potential in rats in vitro, in neuron cultures exposed to toxic levels of glutamate. It is known that high glutamate levels induce neurotoxicity (particularly mediated by the NMDA, AMPA and kainate glutamate receptors) and lead to the formation of secondary damage-causing compounds such as ROS and tumour necrosis factor-a. It is also known that glutamate activity is reduced by the presence of antioxidants; as CBD and THC are well established as antioxidants, the basis for further investigation was clear. The research demonstrated that both THC and CBD increased neuroprotection and reduced NMDA, AMPA and kainate receptor neurotoxicities. Furthermore, the level of neuroprotection was not increased by the action of specific cannabinoid receptor antagonists, indicating that the mechanism of action was independent of the cannabinoid receptors. Previous studies had concluded that cannabinoid receptor agonists were the key agents of neuroprotection; however, cannabidiol is not an agonist, so its neuroprotective potential must therefore be realised elsewhere. CBD was also shown to reduce hydroperoxide (a type of ROS) toxicity in neuron cell cultures—further proving its effectiveness as an antioxidant. CBD’s ability to reduce toxicity was tested against two other known antioxidants, a-tocopherol and ascorbate, and was proven to be superior to both in terms of neuroprotective capacity. Although these tests were performed in vitro, preliminary in vivo studies into cerebral ischemia in rats suggest that it is effective across the board. 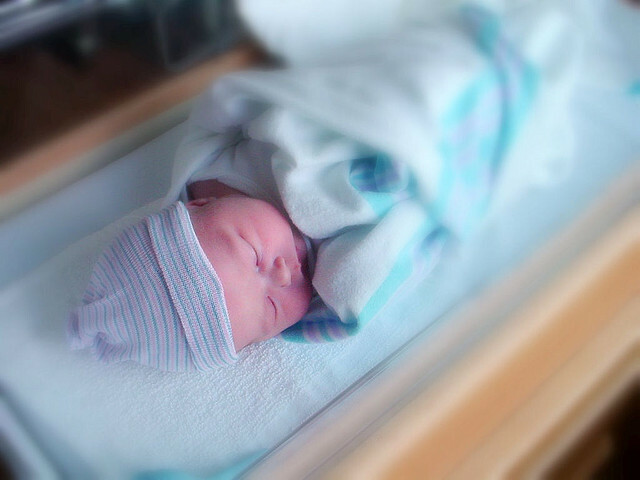 A significant cause of brain injury in the neonatal period is perinatal hypoxic-ischemic event—when the flow of oxygen and blood to the infant brain is interrupted due to asphyxia, often during childbirth. This devastating condition leads to the death of 15-20% of children diagnosed, and to severe neurological impairment—including epilepsy, cerebral palsy, motor dysfunction and hyperactivity—in a further 25%. The developing brain is far more susceptible to hypoxic-ischemic events than the adult brain, as it contains a high concentration of blood vessels and higher water content, and the potential for damage-inducing events such as haemorrhage is greater. Immediately following hypoxic-ischemic brain injury, a set of specific cellular mechanisms including increased production of glutamate is set in motion, triggering cell damage and finally leading to excitotoxicity (a type of cell death caused by excessive glutamatergic signalling). The precise nature of this process is not yet fully understood, due to the complexity of the molecular mechanisms that underlie the condition, and as such, there is a paucity of effective treatment options to mitigate the extent of neuronal damage. Now, however, rapid advances in our understanding of the field have led to a new class of neuroprotective therapies to be assessed and implemented if proven to be effective. Among them, the endocannabinoid system is under investigation in order to ascertain its specific role in providing neuroprotection to the developing brain. While use of cannabinoid therapies on children remains controversial, there have been sufficient successes with using cannabinoids in various paediatric conditions (including epilepsy and cancer) without detrimental side-effects that the controversy is now rapidly being replaced with consensus among the scientific community that such therapies can be useful. As well as modulating neural responses, cannabinoids have been shown to modulate vasodilation due to endothelial cell function and endothelin activity, regulate calcium homeostasis, and possess significant anti-excitotoxic and anti-inflammatory effects. There are also indications that certain anti-inflammatory treatments may actually improve recovery by promoting neurogenesis (growth of new neurons). Utilising the potential of the endocannabinoid system is therefore an important neuroprotective strategy for neonatal hypoxic-ischemic brain, and one that appears to have very little risk of detrimental side-effects. Furthermore, the antioxidant and modulatory properties of cannabinoids, particularly their ability to inhibit glutamate release and other damaging compounds such as nitric oxide, make these compounds particularly attractive as a defence against hypoxic-ischemic progressive brain damage as it is known that glutamatergic excitotoxicity, nitric oxide toxicity and oxidative stress are all crucial factors in perinatal hypoxic-ischemic brain injury. As well as endocannabinoids and phytocannabinoids, attention is now being paid to the potential of various synthetic cannabinoids. 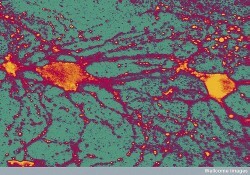 For example, in a studypublished in 1999 by the Journal of Neuroscience the synthetic cannabinoid agonist R(+)-WIN 55212-2 was found to decrease neuron loss in the hippocampus in vivo following global cerebral ischemia in rats, and reduce infarct volume following focal cerebral ischemia induced by occlusion of the middle cerebral artery. The less active enantiomer (the “mirror image” molecule), S(-)-WIN 55212-3, was found to be ineffective, and the protective effect of R(+)-WIN 55212-2 was found to be blocked by the action of a specific CB1 receptor antagonist rather lengthily known as N-(piperidin-1-yl)-5-(4-chlorophenyl)-1-(2,4-dichlorophenyl)-4-methyl-1H-pyrazole-3-carboxamide-hydrochloride. Interestingly, the results varied between in vivo and in vitro models. 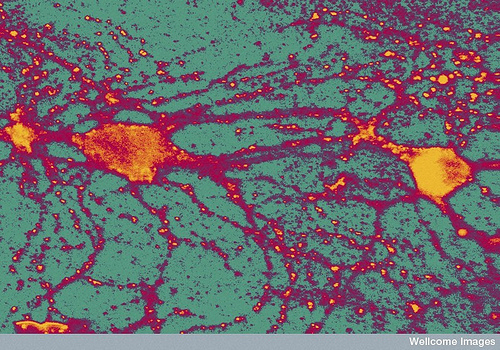 In vitro, R(+)-WIN 55212-2 still exhibited a protective effect on the neurons, but the effect was not blocked by antagonists. Much further research is needed to ascertain the precise interactions at work here, but it is clear that there are potential applications for this and other synthetic cannabinoids as treatment for cerebral ischemia, including stroke. There is abundant evidence indicating the effectiveness of phytocannabinoids, particularly CBD, in the management and mitigation of traumatic brain injury and ischemic stroke. Furthermore, our understanding of the role that the endogenous cannabinoids anandamide and 2-AG play in the modulation of inflammation and cerebral blood flow is growing, and our ability to synthesise targeted synthetic cannabinoids that can precisely mimic the actions of these endocannabinoids is improving with it. Of course, there is a vast amount of information still to uncover, but the pace at which research is advancing is beginning to pick up. 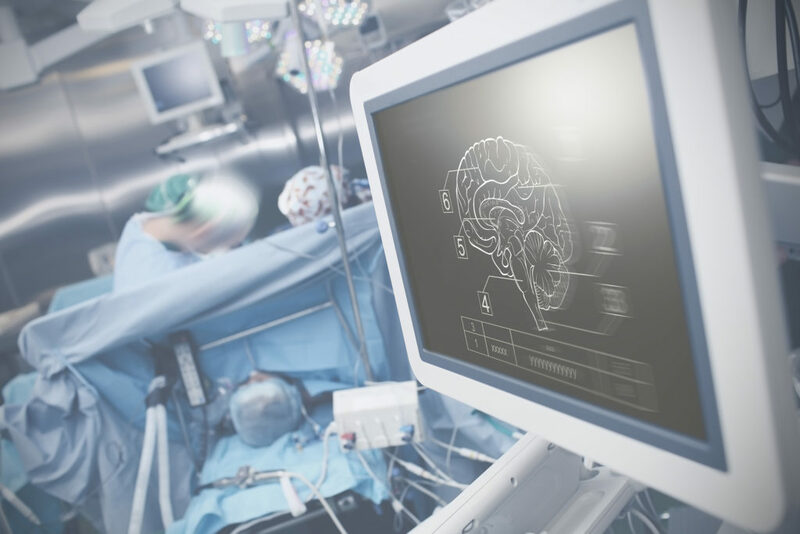 At this rate, it is likely that targeted neuroprotective therapies to mitigate the damage caused by traumatic brain injury and ischemic stroke will be in widespread use within a few years.